As a born- and raised-Chicagoan, I can’t tell you how much fun it is to explore the city all over again with a small child in tow. It’s hard to believe that the “City of Big Shoulders” is even more welcoming to families than it was 30 years ago. It’s affordable, modern, easy to get around (check Chicago Transit Authority's website), and has a wide variety of learning opportunities for an enriching vacation. Since Chicago is so dense with awesome things to do, it’s likely that you can hit several of these Plays in a single day. A gem revered by tourists and locals alike, this free zoo, which opened in 1868, is fun for all ages. 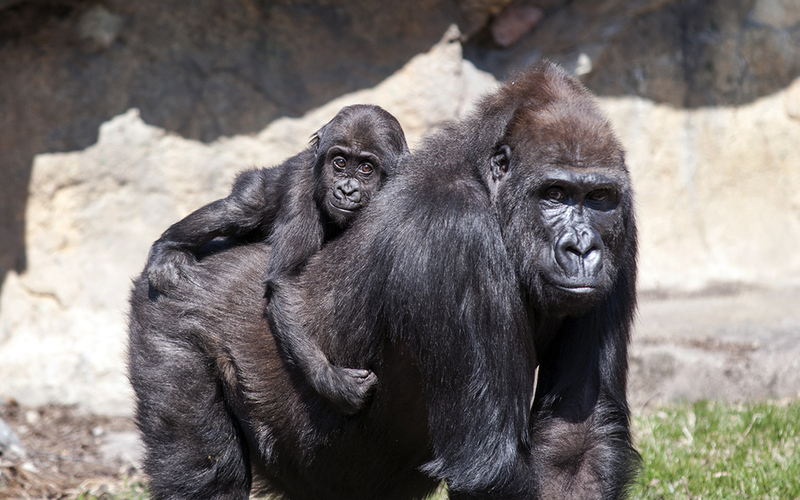 Check the Lincoln Park Zoo website for activities before you plan your day. It often includes sing-a-longs, cow milking in the barn, feedings in the bird house, and hands-on learning time with an animal or two in the reptile house. Ride the carousel in any weather. Open 365 days a year. Cost: Free. Kidtripster Tip: If you find yourself in Chicago between Thanksgiving and New Year’s Day, check the schedule for Zoolights (2 million holiday lights in festive displays). It will be crowded, so arrive just before sunset, if possible. 1200 S. Lake Shore Dr. This is no ordinary aquarium. 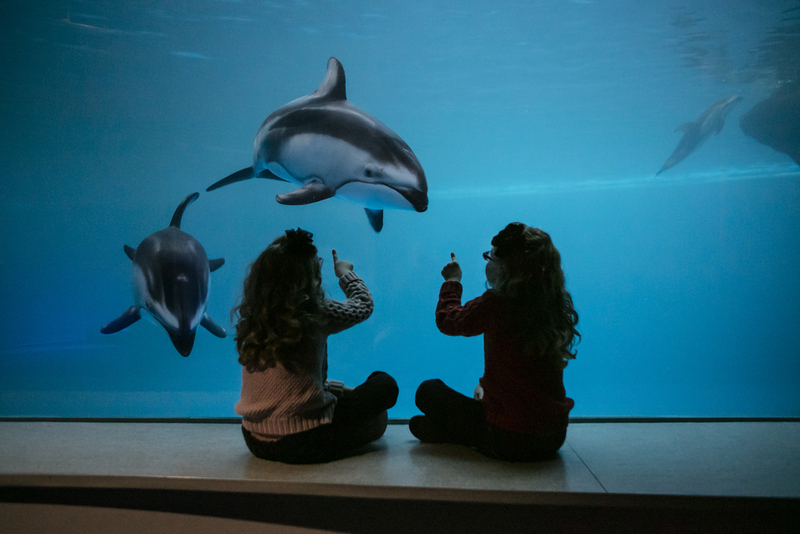 Shedd Aquarium goes above and beyond for their young guests by providing an amazing stingray touch exhibit, 4-D experience shows, as well as an aquatic show that incorporates dolphins, Beluga whales, and sea lions. Grab a coffee and head to the outdoor terrace near the Soundings Café. It has one of the best views in the entire city. Watch the boats and take a break. After all, those little legs will have visited as many as 32,000 animals in one visit! Cost: Youth $6; Adult $8; Wild Reef, Abbott Oceanarium, Polar Play Zone, or other special exhibits not included in general admission. Kidtripster Tip: Arrive 15 minutes before the aquarium opens to secure affordable street parking and beat the lines which can get as long as one hour. KidTripster Tip: Just a short walk from Shedd is the often-forgotten, but worthy-of-a-visit Adler Planetarium. Put your walking shoes on. The 400,000-square foot museum is one of the city’s oldest and most robust. Hop aboard the U-505 submarine, get sucked into a virtual tornado, visit the baby chicks in the genetics lab, and see more model trains that you could ever imagine, but most importantly, do not miss the idea factory on the lower level for some fantastic hands-on experiences. MOSI is really more of an educational play space than museum. Cost: Youth $10; Adult $15; special exhibits may cost more. Kidtripster Tip: Don’t miss the museum cafeteria. Full of delicious and healthy options, this lower level respite will keep your whole group fueled and ready to go. Even if you are in Chicago for just a day (and the weather is good), take a Wendella river and lake cruise. The boat ride, led by experienced docents, takes you from the DuSable Bridge, out to Lake Michigan, down the river to Chinatown, and back (total time: 90 minutes). It’s a wonderful way to experience Chicago’s waterways. Learn about how the city reversed the flow of the river and the historic Great Chicago Fire plus experience the vastness of 26-mile wide skyline. Restrooms and a bar with beverages and snacks are on board. Cost: Youth $16.50; Adults $35.50. Kidtripster Tip: Order your tickets online and arrive about 30 minutes before the boat departs as that’s the only way to get your pick of great seats. Got a wide variety of ages traveling with you? 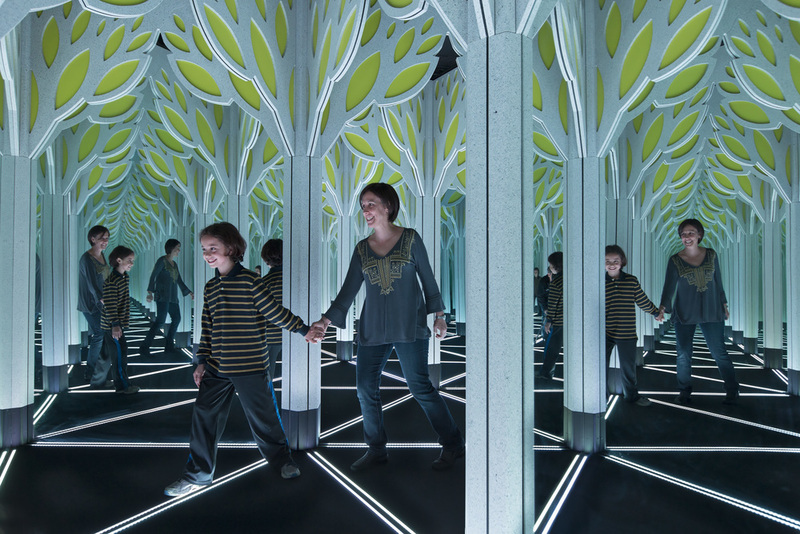 Chicago Children’s Museum at Navy Pier may be your favorite stop. It has exhibits designed for babies (Pritzker Playspace), toddlers (Kids Town), preschoolers (Dinosaur Expedition) as well as your older kids (Tinkering Lab and Skyline). This place really focuses on hands-on learning and fun. Take a stroll down Navy Pier, enjoy the state of the art renovations, including the brand new Centennial Wheel and other carnival-like rides. Cost: Youth & Adults $14. Kidtripster Tip: Hang around Navy Pier on Wednesday and Saturday nights during the summer for a fireworks display. Take an elevator up 103 floors to catch one of the most spectacular views in the city from the SkyDeck. You’ll be able to see four states and hundreds of miles of the vast Midwest. Ready to get over that fear of heights? Step out onto The Ledge, a four-foot wide glass balcony, that’s just 1,353 feet above Wacker Drive. Cost: Youth (3 & Under) Free; Youth (3-11) $14; Adult $22. Kidtripster Tip: If you’re short on time and/or have particularly impatient kids, consider the Fast Pass upgrade that will move you to the front of the line for an extra $27/person. Re-enact one of your favorite scenes in Ferris Bueller’s Day Off and hold hands past Georges Seurat's A Sunday Afternoon. 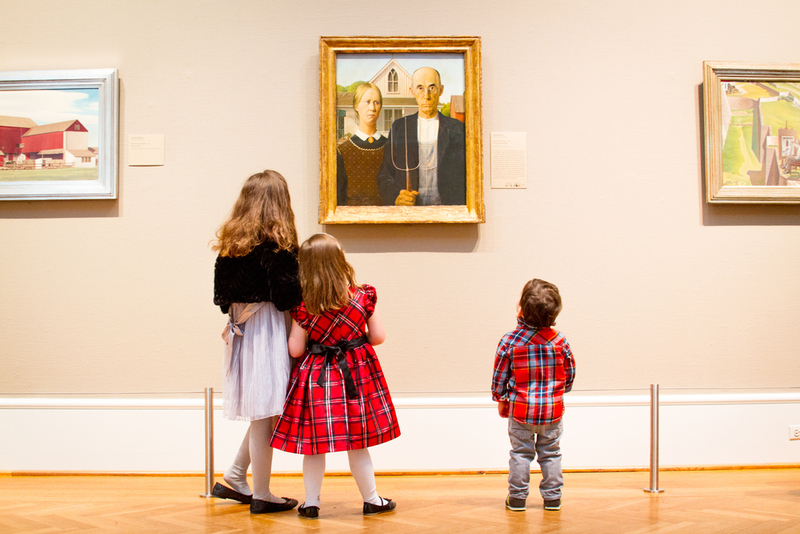 The Art Institute of Chicago is open a little longer than other local museums and will likely please all art lovers in your family. Drop in at the Artist’s Studio and work on a family art project together. The activities are always thematically-linked to the artwork on exhibit in the museum. This surprisingly kid-friendly spot has a robust kids’ menu in the café and free stroller rental for anyone that didn’t bring their own. Cost: Youth (under 14) Free; Adults $22. Maggie Daley Park is probably the most epic public playground that you’re going to encounter in the Midwest, ok, maybe the nation. It’s easy to get lost and spend an entire day on the climbing wall, play garden, tennis courts, picnic groves, mini golf course, and skating ribbon. Have a stroller napper? Explore the gorgeous (and quieter) paths in the Cancer Survivor’s Garden. There’s a snack kiosk open during the day and plenty of fantastic fast and casual cafés along Michigan and Randolph Avenues, as well. Kidtripster Tip: The Watering Hole is an animal-themed splash pad for kids (ages 2-5). Don’t forget to bring a spare change of clothes. Pack your sunscreen and venture about 14 miles outside of the city for lions, tigers, and bears (oh my!) at the Brookfield Zoo. Stroller and wagon rental is available, if find yourself without one. Don’t miss the Hamill Family Play Zoo (best for kids under 10), where little ones learn what it’s like to be a zookeeper and get an up-close encounter with rabbits, salamanders, cockatiels, and lemurs. They even will have an opportunity to feed parakeets and goats. Check out the Dolphins in Action show (offered twice a day) and relax on the carousel or motor safari, if you need a break from all of the action. Cost: Youth (3-11) $18.95; Adult $26.95. Kidtripster Tip: Buy your tickets online and skip the lines. Get some exercise and explore Chicago in half the time. Bike and Roll offers a wide variety of bike rentals (tandem and kids’ bikes, too) and facilitates some of the most fun and interesting sightseeing tours around via bike and Segway. You can start a tour at Millennium Park (near Maggie Daley Park) or Navy Pier (near the Chicago Children’s Museum) and visit must-hit, hot spots like Buckingham Fountain, Lincoln Park Zoo, and the lakefront. Cost: Youth (under 12) $30; Adult $40. KidTripster Tip: If you have teenagers, opt for the Segways. They're a blast! During the summer, I'd recommend the evening tour along the lakefront, but book it early, as it's extremely popular. For Top 10 Stays in Chicago, click here. For Top 10 Eats in Chicago, click here. Christa Reed is a TV fanatic and philanthropist. She enjoys drinks with umbrellas, unreasonable amounts of caffeine, and watching the Cubs. She lives in her dogs’ Chicago home with her 4-year old son and husband. This writer received some complimentary activities for the purpose of this review. However, all opinions expressed are solely her own.